There hasn't been much in the way of WoW going on lately, outside of guilds re-arranging for Legion. And, I doubt there will be much happening until Blizzcon, it's not likely we'll see much changes in hunter rotation, or the spec dominance, even strategies in HFC. Since I didn't really want this blog to sit idle for too long, I figured I'll just write about whatever, at least until there's more hunter math to do. 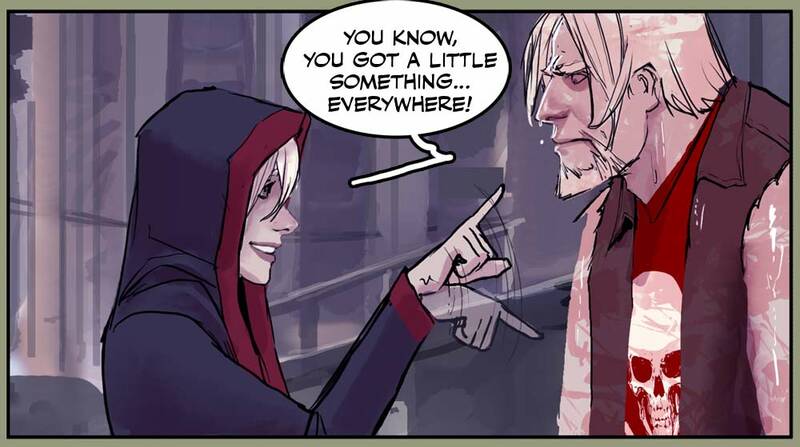 That brings me to Death Vigil 8, which officially came out yesterday. Stjepan Sejic, the artist and author, had actually already released the entire a issue on his deviant art page, but I tried not to read too much on there until I could get the book in my hands. So I took off work early to spend the afternoon reading. This issue ends the first (hopefully not the last?) 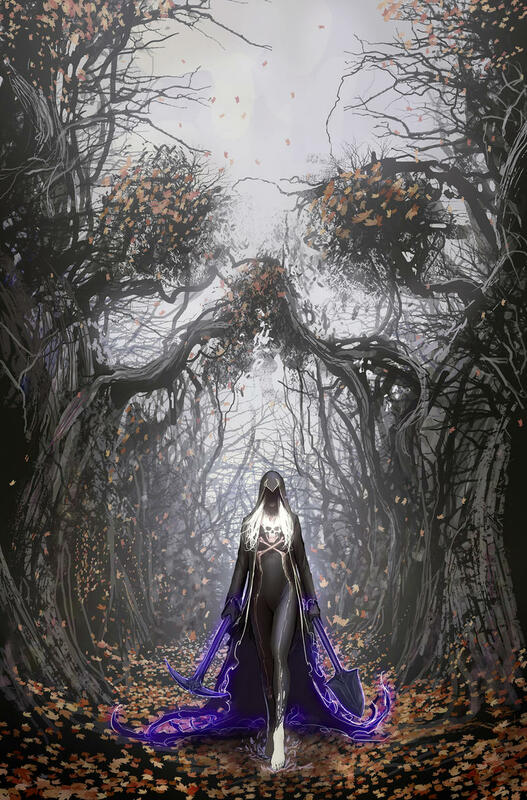 arc of Death Vigil. I picked up the first issue a year ago, when the proprietor of my favorite local comic book shop left a note comparing the the Sejic's wit to Joss Whedon's writing in BtVS. And well, that was enough to convince me it was worth checking out. While I really enjoyed the wit (I eventually learned to read this one at home, as people in the bar would look at me strange during my outbursts of giddy laughter), it was really the artwork that hooked me on this book. I've always been very fascinated by the idea of storytelling through sequential art, and I'm not sure I've ever read a comic that interwove the artwork and dialogue so well. What really makes the artwork jump out as a storytelling device, is his facial expressions. Whether in a serious or silly frame, these faces set the stage for the dialogue, so I already know what a character's mood or manner is going to be like before I start reading a sentence. The dialogue then can be focused on just being dialogue, instead of having to give extra hints as to what's going on, or how characters are acting. The more I think about it, that's really what makes the wit of this book work so well, also. Having to be explained is rarely a quality of a good joke. Since Sejic can rely on his artistic abilities to tell a lot of the story, or at least to convey the emotions of the story, he doesn't need to clutter the dialogue. 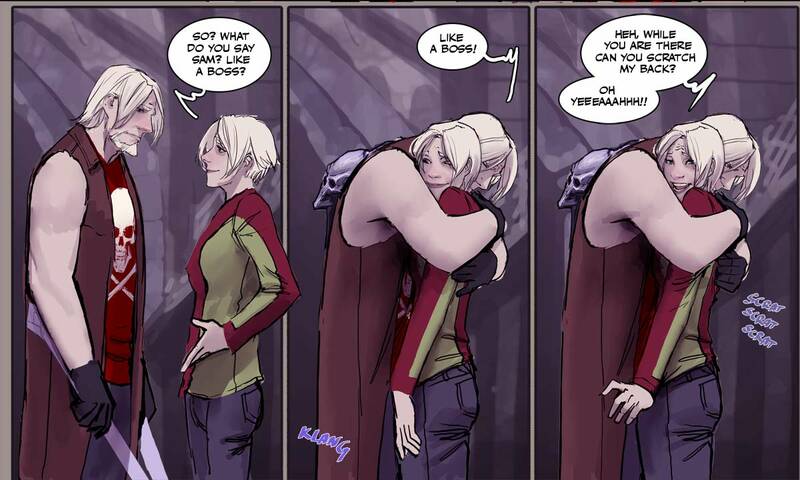 And so what might be overly corny in the hands of another artist is endearing in the hands of Sejic. These 8 issues will be released as a trade paper back on the 29th of October, so you've still got time to go tell your local comic book shot to put one on reserve for you!